Frequently recommended for dogs with torn ligaments, TPLO is an acronym for Tibial Plateau Leveling Osteotomy. This surgery uses a specific power saw to cut off one of the leg bones, creating an arc shaped cut on the surface. One section of the bone is then rotated through the arc and is reattached at a different angle using a metal plate and screws. The end result is that the TPA (Tibial Plateau Angle) is reduced. It is an extremely invasive and expensive procedure. And has recently become the surgery-du-jour for dogs with ligament injuries. TTA (Tibial Tuberosity Advancement) is a similar surgery that alters the bone structure. Somewhat less invasive, it also reduces the TPA. TPLO & TTA do not stabilize the joint. Instead, the relationship between the leg bones is altered. For most ligament injuries, the focus should be on re-establishing joint stability. Instead of radically changing the bone structure. There are a small number of cases where TPLO may be the best surgical option. In dogs where the TPA is pathologically steep (~30-32 degrees), it may be a good option. It may also benefit dogs with angular limb deformity or luxation of the patella from a ligament injury. Bone altering surgery that decreases the TPA is thought to make joint stability less important for proper mobility. Short term results appear favorable as the dog is more likely to put weight on the leg after recovery from the surgery. But the long term effects are questionable at best. Potential complications of the surgery are numerous and severe. All surgery carries some degree of risk. However, the potential risks of this particular surgery far outweigh the benefits. While short term results may appear to be favorable, the long term outlook for this invasive surgery is overwhelmingly poor. What Does the Developer Say? Slocum Enterprises, creator of the TPLO procedure, responded to a request seeking information and follow-up studies for complications related to the surgery. "... To answer your question regarding post-operative studies, there is no legal requirement between Slocum Enterprises and any veterinarian who performs the TPLO procedure to report their surgeries and/or complications to us..."
But, it's very expensive, so it must be good, right? "It is difficult to get a man to understand something when his income depends on his not understanding it." Dr. Ron Hines, DVM, Ph.D., a vet who performs ligament surgery, summarized an article from the Journal of the AVMA. "An article in...the Journal of the AVMA does not give an overly optimistic evaluation of surgery for cruciate ligament damage. This paper found that only 14.9% of dogs treated with lateral suture stabilization (LSS), 15% of dogs treated with intracapsular over-the-top stabilization (ICS) and 10.9% of the dogs treated with tibial plateau leveling osteotomy (TPLO) regained normal leg function subsequent to surgery." So, nine out of ten dogs will not regain normal leg function? I would not risk the health of my dog for that ratio. And I certainly wouldn't plunk down thousands of dollars in the hopes that my dog would be in the lucky 10% that revert back to their pre-injury ability. Gail Smith, Professor of Orthopedics and Department Chairman at the University of Pennsylvania Vet School is quoted in an email. "...[In regard to TPLO there is a] virtual absence of research to show that this highly invasive and expensive method has any benefits whatsoever in post operative clinical function over other less invasive and expensive methods. I have taken a stand early in my career to avoid endorsing procedures that are not evidence-based ...and TPLO is a classic case of surgeons ...jumping on the bandwagon without adequate investigation to demonstrate the purported benefits of the procedure..."
What Training is Involved to Perform TPLO? One would think that an expensive and risky surgery would require a vast amount of proper training. Not the case with TPLO. After just a few hours in training at the Slocum Enterprises' facility, vets are able to utilize the procedure. Or, they can watch a training DVD, buy the recommended equipment and they're good to go. The surgery takes less than an hour. While the costs of doing the operation (minus anesthesia) are relatively small, vets commonly charge well over $3,500. So, What Do I Do About My Dog's Injury? Do as much research on the topic as you can. You owe it to your dog. 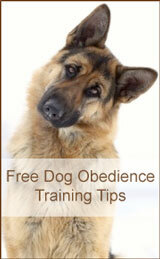 And beware the websites written by vets who stand to gain much profit from this procedure. Attempt Conservative Management. Restrict your dog's activity. No jumping or running. Limit walks. There have been many success stories for owners who have religiously (and patiently) used this tactic. Some dogs have even been known to recover while waiting for their surgery date. This is what you would have to do after surgery anyway. And joint-stabilizing scar tissue will form with or without surgery. "...When widely differing procedures all result in improvement with time it is wise to question whether time itself may be the curative element. None-the-less, it is considered good practice in veterinary medicine in the United States to treat all these cases in larger breeds surgically..."
Don't expect overnight changes. Scar tissue takes time to build. One wrong jump can set your dog back to square one. If you do decide that TPLO surgery is right for your dog, just be aware of the risks going in.